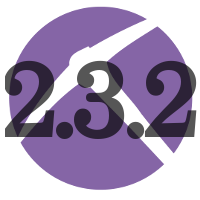 NetworkMiner 2.3.2 was released this morning, and there was much rejoicing! 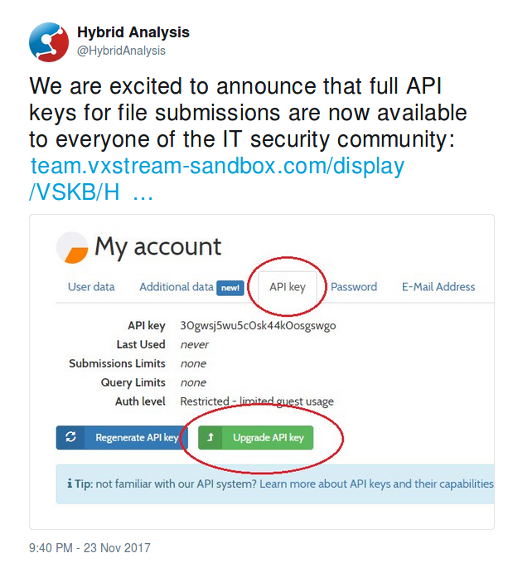 This new release primarily fixes bugs related to extraction of emails and VoIP calls. 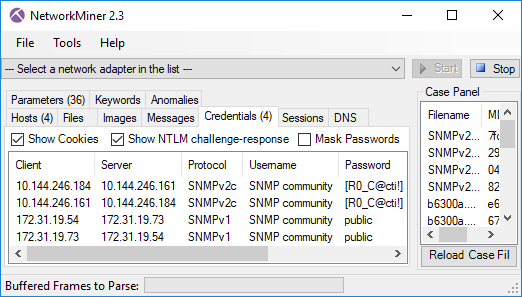 We have also corrected a bug affecting the json/CASE export function in NetworkMiner Professional. 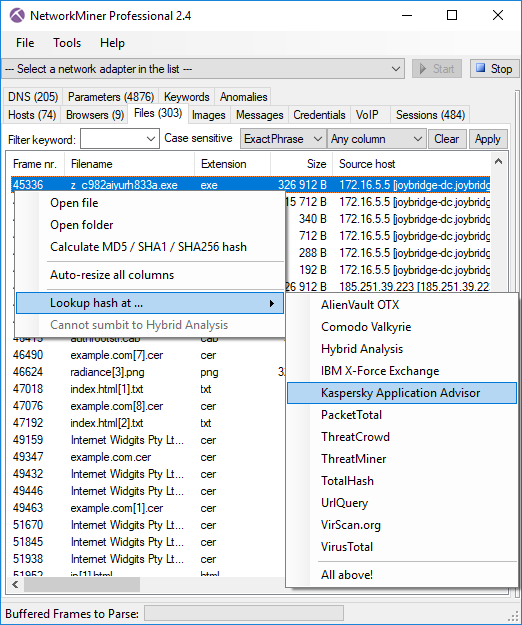 The OSINT domain name lookup in NetworkMiner Professional has also been extended with the crt.sh Certificate Search and DNSTrails has been replaced with SecurityTrails. 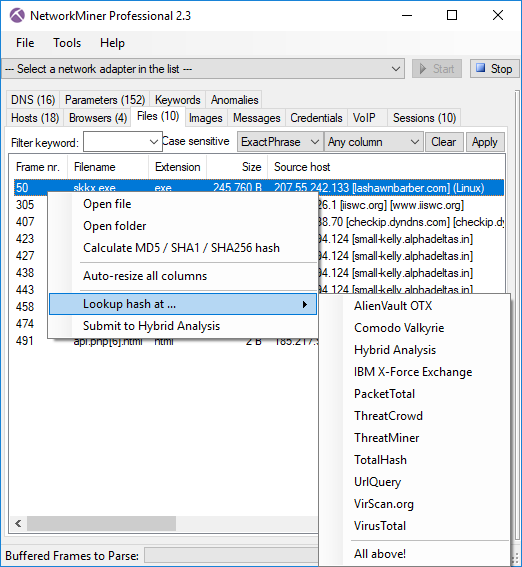 Image: NetworkMiner Professional 2.3.2 with “vm_win7.pcap” from University of Twente’s Data Exfiltration Malware dataset loaded. We’d like to thank Carlos Kasprzykowski for notifying us about the VoIP bug, which caused lots of files to be written to the %TEMP% directory when there were more than 50 simultaneous SIP+RTP calls. 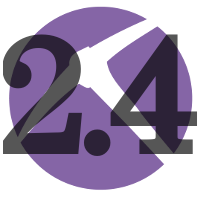 We also wanna thank Josh Wilczek for reporting a bug in the “User Defined Port-to-Protocol Mappings” in NetworkMiner Professional’s Settings window, which also has been fixed in the 2.3.2 release. 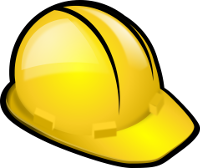 Users who have purchased a license for NetworkMiner Professional 2.x can download a free update to version 2.3.2 from our customer portal. 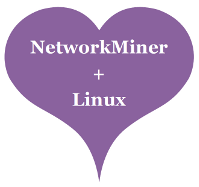 Those who instead prefer to use the free and open source version can grab the latest version of NetworkMiner from the official NetworkMiner page. Our heavy-duty PCAP analyzer CapLoader comes with a feature called ”Port Independent Protocol Identification”, a.k.a. PIPI (see Richard Bejtlich's PIPI blog post from 2006). Academic research in the Traffic Measurement field often use the term ”Traffic Classification”, which is similar but not the same thing. Traffic Classification normally group network traffic in broad classes, such as Email, Web, Chat or VoIP. CapLoader, on the other hand, identifies the actual application layer protocol used in each flow. So instead of classifying a flow as ”VoIP” CapLoader will tell you if the flow carries SIP, Skype, RTP or MGCP traffic. This approach is also known as “Dynamic Protocol Detection”. Many botnet C2 protocols communicate over port TCP 443, but using a proprietary protocol rather than HTTP over SSL. Backdoors on hacked computers and network devices typically wither run a standard service like SSH on a port other than 22 in order to hide. More advanced backdoors use port knocking to run a proprietary C2 protocol on a standard port (SYNful knock runs on TCP 80). 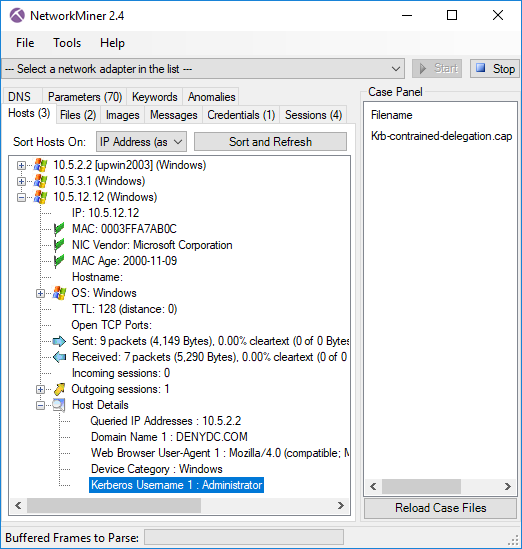 This means that by analyzing network traffic for port-protocol anomalies, like an outgoing TCP connection to TCP 443 that isn't SSL, you can effectively detect intrusions without having IDS signatures for all C2 protocols. 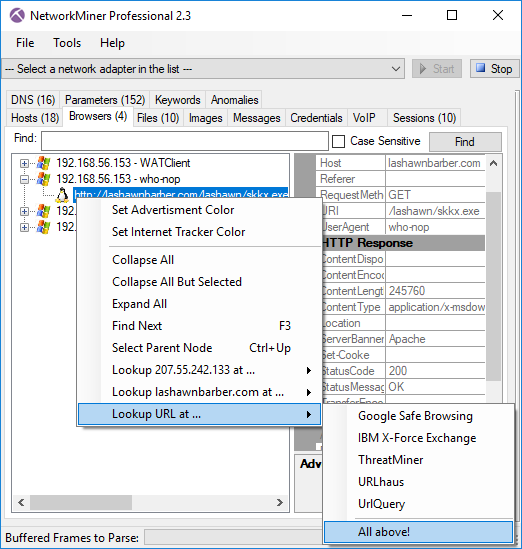 This analysis technique is often used when performing Rinse-Repeat Intrusion Detection, which is a blacklist-free approach for identifying intrusions and other form of malicious network traffic. With CapLoader one can simply apply a BPF filter like “port 443” and scroll through the displayed flows to make sure they are all say “SSL” in the Protocol column. CapLoader relies on statistical analysis of each TCP, UDP and SCTP session's behavior in order to compare it to previously computed statistical models for known protocols. These statistical models are generated using a multitude of metrics, such as inter-packet delays, packet sizes and payload data. The port number is, on the other hand, a parameter that is intentionally not used by CapLoader to determine the application layer protocol. The PIPI/Dynamic Protocol Detection feature in CapLoader has been designed to detect even encrypted and obfuscated binary protocols, such as Tor and Encrypted BitTorrent (MSE). These protocols are designed in order to deceive protocol detection mechanisms, and traditional signature based protocol detection algorithms can't reliably detect them. The statistical approach employed by CapLoader can, on the other hand, actually detect even these highly obfuscated protocols. It is, however, important to note that being a statistical method it will never be 100% accurate. Analysts should therefore not take for granted that a flow is using the protocol stated by CapLoader. 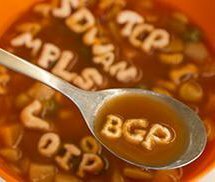 There are some situations when it is very difficult to accurately classify an encrypted protocol, such as when the first part of a TCP session is missing in the analyzed data. This can occur when there is an ongoing session that was established before the packet capture was started. 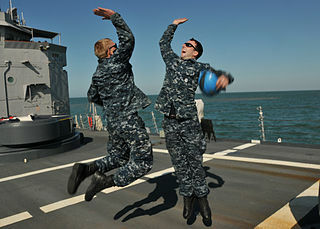 The list of implemented protocols is constantly being increased with new protocols. 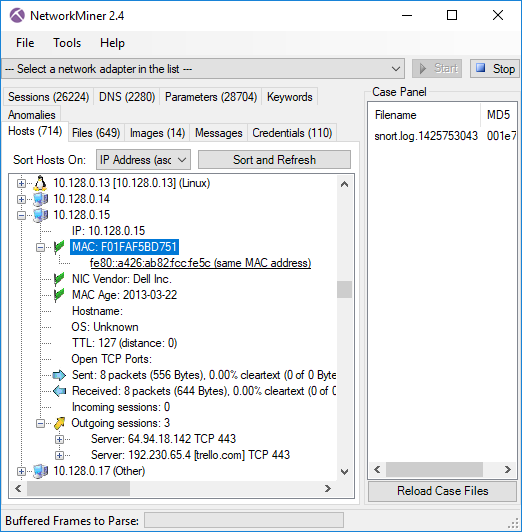 NetworkMiner Professional, which is the commercial version of NetworkMiner, also comes with an implementation of our protocol detection mechanism. 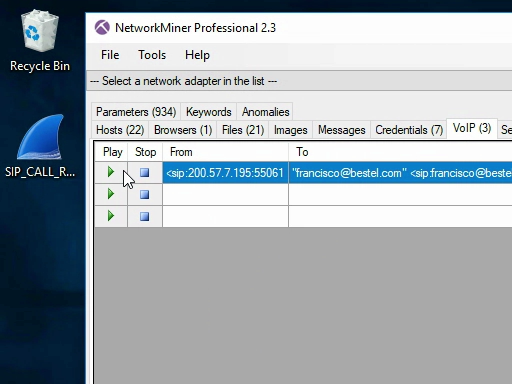 Even though NetworkMiner Professional doesn't detect as many protocols as CapLoader, the PIPI feature built into NetworkMiner Pro still helps a lot when analyzing HTTP traffic on ports other that 80 or 8080 as well as in order to reassemble files downloaded from FTP or TFTP servers running on non-standard ports.